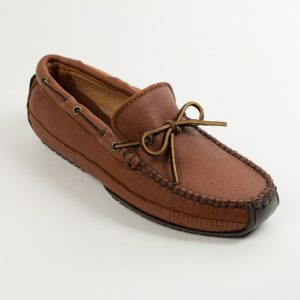 We provide a wide variety of Minnetonka Moccasins for your choosing. Find men’s moccasins for any occasion. All styles are hand crafted from high quality materials such as Deerskin, Moosehide, Cowhide and Sheepskin. 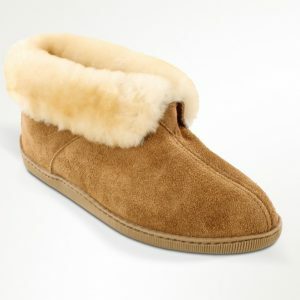 Here you can find traditional moccasin styles, Slippers, Driving Moccasins, and boots most styles come in a combination of hard and softsoles. 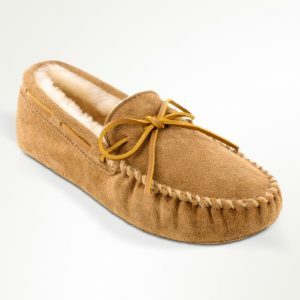 Top sellers are the Sheepskin slippers, Moosehide Classic, and the Double Deerskin Softsole! For any questions email tneergg@svfuperrxzbppnfva.pbz. If you want to come in and try on our men’s moccasins you can find us here!